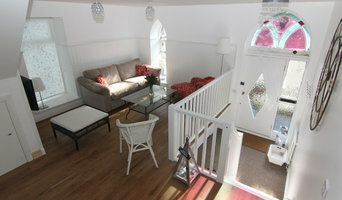 Berkeley Place is fast becoming the first choice for customers looking to renovate and / or enhance their property. Winners of the Best of Houzz 2017 for customer service, there is a common thread to all we do – a relentless determination to exceed clients' expectations and demonstrate value during each and every aspect of a project. We are different because: - We are good at grasping and interpreting what our customers want and translating this into a form of words and/or drawings that clearly define our customers’ aspirations. - We have established strategic relationships with the best and most creative designers and manufacturers. - We are informed that customers choose Berkeley Place because they enjoy our enthusiastic ‘can do’ attitude and innovative approach. They appreciate how our involvement during every stage of a project demonstrates transparency and robustness, and enables much better informed decision making. Call us today for a no-obligation chat about your project. We look forward to hearing from you! Nest is first and foremost a kitchen, bathroom and build design business. However, through the commissions we’ve engaged in over the years, this focus has evolved into the design and fitting of everything from the smallest bathroom through to the complete construction of new homes and gardens. Our passion lies in helping clients to feel a sense of excitement every time they walk into their home, proudly sharing these new spaces with family and friends. We’ll translate how you want to live, relax and eat into real life visualisations that allow you to ‘see’ the space before a brick is even laid. From our first ever commission to our latest, each design has been completely bespoke. Our team includes a creative director and all associated trades, who have worked together for many years, whether directly employed or through long term relationships as trusted partners. Where desired, we’re able to collaborate with specialist trades such as architects and garden designers. Each commission is allocated a project leader and, working with specialist quantity surveyors where required, our aim is to create your perfect space with an absolute focus on cost control. Clear, transparent pricing is key to our success at keeping clients happy, reflected in the glowing recommendations we’ve received over the years. Charles James Developments and Interiors, based in Cardiff, South Wales offers a bespoke building service that puts your ideas first. Our aim is to keep things as simple as possible for you throughout your building project, without compromising on delivering first-class results for you and your home. However big or small your project is, you can trust our experts to handle every aspect of the job with care, professionalism and attention to detail from start to finish. Nothing’s better than seeing the real thing. Our showroom is filled with inspiring examples of traditional and modern interior design that can be recreated in your home. Visiting us will allow you to see a wide range of products and materials up close, so you can make sure every little detail works for you. From kitchen worktops and tiles to lighting and glazing, a trip to our showroom allows you to handpick the perfect finish. TGH & Sons Ltd are a well-established family run business based in Cardiff that has built up an excellent reputation for quality workmanship and friendly polite workers as recognised by Considerate Constructors National Awards. We offer a wide range of services from commercial / residential new builds, large refurbishments to small residential refurbishments including bathrooms and kitchen upgrades. Whatever your project you can have peace of mind knowing that we will oversee the construction process from Inception to completion. We offer our services in Cardiff and surrounding areas in South Wales. We have a long and trusted relationship with local authorities, housing associations & private developers throughout Cardiff and the Vale. Welcome to Hughes Property Maintenance where we pride ourselves on our Friendly, Honest and Reliable Service delivered with the utmost professionalism by our Highly Skilled Builders and Craftsmen specialising in all aspects of Property Maintenance and Home Improvements in and around the Bristol Area. Please feel free to browse our website to see an array of Construction Services we have delivered to many of our valued client’s. We aim to provide a very high standard of workmanship in all sectors of the Construction Industry offering our Services to both Domestic and Commercial Customer’s. The Team here at Hughes Property Maintenance of Bristol have built a Valuable Reputation over the past decade with our Impressive Services by paying attention to detail and great care and consideration when providing our services. We are a construction company in Cardiff, we offer a planning to completion service. Let us make your dream a reality. Whether you’re looking for an interior refurbishment to breathe new life into an existing room, or to create a completely new space through an extension. Wayne Moore has the solution - from a variety of glazing options to a dedicated construction team able to execute on any size project. Our skilled carpenters also produce bespoke, fitted furniture to individual, distinctive pieces to complement your home. Innovative thinking - contact us to discover how cutting edge materials deliver beyond expectation. Gateside Developments provides clients with an unprecedented service level, completing home extensions and delivering bespoke new homes, and new kitchens and bathrooms. Gateside is owned and operated by it's Director, Tom Creed, who holds 15 years' experience in construction, maintenance and refurbishment as well as extensive property management. This means there is zero complacency - you are guaranteed to receive the absolute best experience. Tom started out as an electrician, and went on to gain expertise across all trades as he progressed to senior management within the social housing sector, managing contractors delivering multi-faceted services to c.5000 properties. Tom then took the steps to setup his business to give clients access to professional and trustworthy, high quality construction and refurbishment services. To discuss your project, call today for an informal chat, 02920 600 494. Sustainable Design & Build in Bristol and the South West, also specialising in Passive House construction. Greenheart have been building beautiful homes as principal or main contractor for over twenty years. From domestic extensions to groundbreaking new build homes, each project is unique and built to the highest standards. 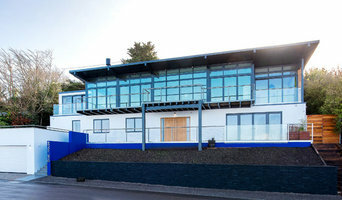 With a solid reputation in the Bristol area for excellence in sustainable building, we place emphasis on training our workers and clear communication with clients. WE OFFER A VARIETY OF RESIDENTIAL BUILDING SERVICES IN CARDIFF AND SURROUNDING AREAS. 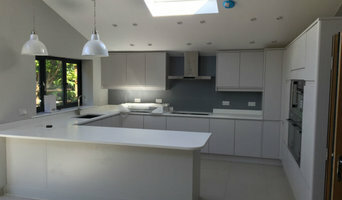 WE HAVE VAST EXPERIENCE IN NEW BUILDS, EXTENSIONS, CONVERSIONS AND RENOVATIONS. FORTY BUILDERS CONTROL ALL ASPECTS OF THE PROJECT FROM START TO FINISH SO YOU ONLY DEAL WITH US, PROVIDING YOU WITH A STRESS FREE EXPERIENCE. WE BELIEVE IN THE IMPORTANCE OF CLEAR COMMUNICATION AND PROVIDE OUR CLIENTS WITH REGULAR PROGRESS UPDATES. ALL WORK COMPLIES WITH BUILDING REGULATIONS AND MEETS OUR CLIENT’S PERSONAL SPECIFICATIONS. LISTENING CAREFULLY TO YOUR NEEDS WE WORK IN PARTNERSHIP WITH YOU TO PROVIDE A TAILORED SOLUTION. We are a business committed to customer satisfaction with the aim of securing recommendations and repeat business. We deliver the highest standards of workmanship constantly in a timely and professional manner, striving to maximise the best outcome possible with the budget available. Why not build you own house with the help of Bristol builders? Builders in Bristol can be employed to handle a wide range of projects; from knocking down a partition wall to building a kitchen extension, but you’ll certainly need the help of a trusted house builder if you plan to build your own home from the ground up. But why would you take on such a task? This may seem like a daunting task, and admittedly, it’s not for the faint-hearted. But with extensive research, trusted builders in Bristol, detailed budgeting and good judgement you might soon be sitting in the house of your dreams, at a snip of the cost. Your architect’s plans will serve as clear instructions to your builder and, if the former has done their job well, you should also avoid any nasty surprises with the local council. Finding the right Bristol builder need not be a long or difficult process. Personal recommendations aside, a good place to start is the Bristol Home Builders category of the Find a Pro section on Houzz, where you can see their previous work and ask questions. Compile a shortlist of at least three builders in Bristol that can handle the full scope of works, either by themselves or through sub-contracting. It is often a good idea to play devil’s advocate and ask what the builder will not be responsible for, such as structural engineer consultations. Be weary of unusually cheap quotes. Ask for references and stories about how the builder has met different challenges along the way. If you can, you could try to see builders’ previous projects in person and talk to previous clients, or if not, read reviews, recommendations and ratings, and look at detailed photos of projects. How long have you been operating as builders in Bristol? Find builders on Houzz. 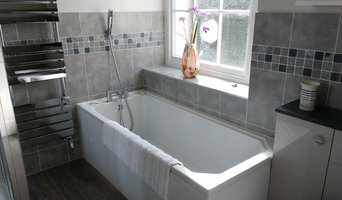 Narrow your search in the Professionals section of the website to builders in Bristol. You could also look through Bristol photos to find a project you like, then contact the Bristol builders that created it.